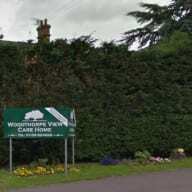 The owners of Woodthorpe View Care Home in Nottingham have been fined £30,000 after a resident fell down a flight of stairs. Ted Kendall broke a hip and died a few months later after the fall at the home in November 2016, the Nottingham Post reported. During a hearing at Nottingham Magistrates Court District, Judge Jonathan Taaffe, said: “It led to an elderly gentleman suffering indignity and pain he should not have suffered. The judge imposed a £30,000 fine on the owners of the home plus £13,873 in costs. The home’s manager and owner Rhoda Ellis was also ordered a pay a fine of £10,000. Along with her husband and fellow owner, Michael, she admitted a charge of failing to provide safe care for Mr Kendall. Ryan Donoghue of the Care Quality Commission said Mr Kendall was admitted to the home in January 2014 with high blood pressure, kidney problems and Parkinson’s disease. Mr Kendall, who used a three-wheel trolley to get around had “a number of falls and loss of balance and wandered around the home”. The CQC said improvements had not been made before Mr Kendall’s fall. The post Nottingham care home fined £30,000 over resident’s fall appeared first on Care Home Professional.